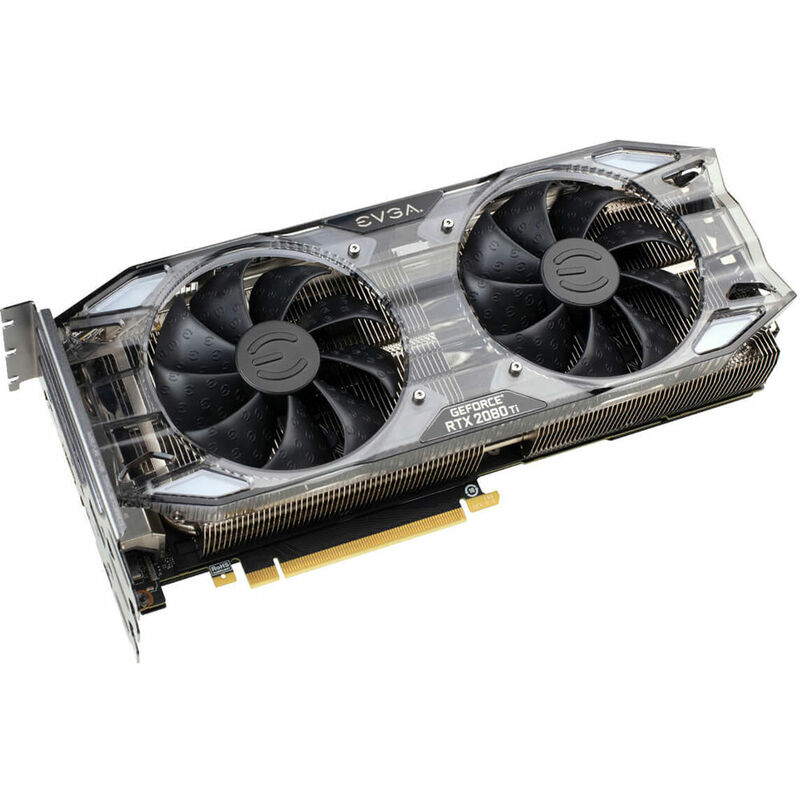 Based on the Turing architecture and designed to handle the graphical demands of 4K gaming, the EVGA GeForce RTX 2080 Ti XC2 ULTRA GAMING Graphics Card brings the power of real-time ray tracing and AI to your PC games. It also features enhanced technologies to improve the performance of VR applications, including Variable Rate Shading, Multi-View Rendering, and VRWorks Audio. VirtualLink is an open industry standard that enables next-gen VR headsets to connect with PCs and other devices using a single, high-bandwidth USB Type-C connector. The Alternate Mode of USB Type-C simplifies and speeds up VR setup time, avoiding key obstacles to VR adoption. VirtualLink connects with VR headsets to simultaneously deliver four high-speed HBR3 DisplayPort lanes, which are scalable for future uses, a USB 3.1 Gen 2 data channel for supporting high-resolution cameras and sensors, and provides up to 27 watts of power. The NVIDIA GeForce RTX NVLink Bridge (sold separately) provides 50 times the available transfer bandwidth of previous technologies. Delivering smooth gameplay, it's an effective way to enjoy surround gaming and it's only compatible with the GeForce RTX 2080 and 2080 Ti graphics cards. Box Dimensions (LxWxH) 20.0 x 18.0 x 12.0"
GeForce RTX 2080 Ti XC2 ULTRA GAMING Graphics Card is rated 4.0 out of 5 by 3. Rated 2 out of 5 by Anthony from RMA BEAST Got the card on the 31st. First day I setup the drivers and fan curve on the card. Ran like a beast. 65c with 12,000 + on 3D marks Time Spy. Played battlefield 5 on ultra settings got 62c at 135-160 fps. 2nd day I readjusted the fan curve and got it to sit at 59c underload. but I notice some small artifacts on time spy and then it crashed. tried it again; artifacts and crashed. I started up battlefield and would crash on the menu. I tried: different pcie slot on MB, updated bios to anything that needed updates, reinstalled drivers and that card refused to be underload. I even underclocked the memory on the card and same results. Since it has evga icx technology I could see that Memory 1 was at 65c and Memory 2 was at 67c before it crashed. I assume its a memory issue since its a somewhat common problem with the 20 series. Its a real bummer to have a 1300+ purchase get rma. the RMA is low for these cards; true or not this is a common issue. Rated 5 out of 5 by Joseph from Simply fantastic performance! I am not full of flowery words when it comes to computer parts but I can say that this single card alone exceeds the performance of my two GTX 980 Ti cards in SLI. It does this while being extremely quiet and maintaining its cool as well. The best EVGA, and NVIDIA, have come up with so far! Rated 5 out of 5 by Antonio from An unicorn on steroids! Easily one of the best RTX cards out there, you cant ask more of it.